Africa is projected to be inhabited by 840 million youths by 2050 making it the youngest population on earth. The need for urgent measures to match the continents growing population of youth and its need for resources, sustenance, employment and means of creating a living has been stressed by the African Development Bank and its East and North African Governors. The African union, the United Nations, governments from various nations including South Africa have also stressed, for various and obvious reasons, the need to offer adequate empowerment tools for the youth of the African Continent. With such youth populations, Africa possesses the largest potential growth engine for the world. This youth compliment presents economic advantages as it serves as the critical mass required to elevate socio- economic development. Not enough of these youths will go through the university system. Even more worrisome is the existing deficit in the available jobs as a means to cater for the increasing number of graduates. Stands to reason that if work readiness is taught at tertiary level where many learners who have attended secondary education will, as a fact, not be able to attend, measures to prepare secondary school learners for life after school are critical. This is where programmes such as Nka’Thuto play a valuable role in their quest to develop youths capable of solving problems for the purpose of creating value, be it for an employer or for themselves as entrepreneurs. Of course, we advocate for the latter. The education system in its current format prepares learners for employment. It tells our youth that university entrance is the only key to success, yet universities do not have the capacity to cater for all these learners that have completed grade 12. Do not get me wrong education is importance as a graduate myself I know its value. However, a higher percentage of leaners that pass through secondary education will not make it into university but will instead have to seek employment. A set of skills that the curriculum, in its current state, does not address become crucial to increase the chances of survival for such a learner. The education system should provide a tool-kit that learners must leave school with. One that will allow them to solve their own problems rather than to aspire to accumulate money to purchase solutions. This is not sustainable, resulting in the low employment, high poverty rates and disgruntled youth we observe and complain about today. Secondary education should not only produce students for university entrance. Secondary education must teach learners to lead the cause for economic development by introducing leadership, problem solving and entrepreneurship into the curriculum. At the centre of problem solving in the 21st century is an understanding of what skills, academic principles and concepts are required for African youths to be competitive at a global scale especially with the eminent 4th Industrial Revolution dictating that the market wants solutions that are convenient, digital and easy to scale. Nka’Thuto advocates for iSTEM (innovative, Science, Technology, Engineering and Mathematics) fields or careers and creates an environment that encourages learners to identify problems or markets for the solutions they create. An environment designed to cultivate a change in mindset through transferring a set of skills to the learners that will set them apart from other learners. Learners in the Nka’Thuto programme are driven and passionate about iSTEM. 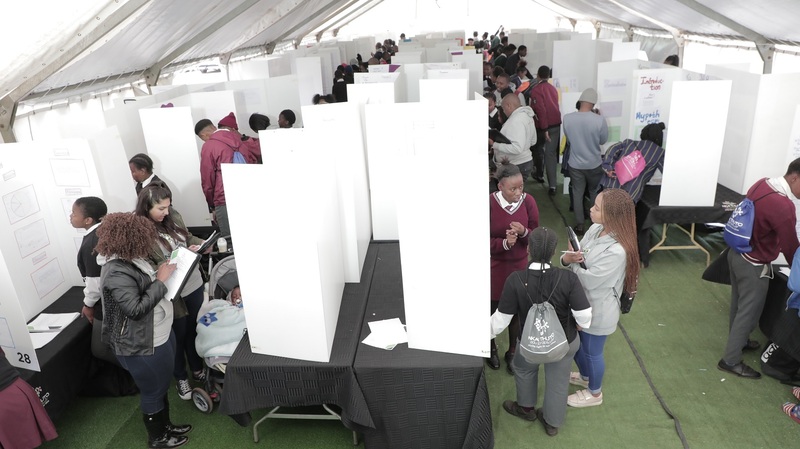 Nka’Thuto EduPropeller is a case study for the deliberate inclusion of such environments at school as it continues to grow its numbers of learners, who at high school level are tuned towards creating solutions to everyday problems. Simply put, Nka’Thuto EduPropeller creates an environment, and makes available, resources to kids in disadvantaged schools to realise their greatness. Through a transfer of traditional research methodology skills enable the kids to identify problems in their communities and conceptualise solutions to them based on innovative, science, technology, engineering and mathematics (iSTEM) principles. As a bi-product of this skills transfer, the kids learn how to develop innovative ideas as well as critical thinking skills which also increases their level of creativity. The solutions that the learners develop are evaluated and funnelled through a competitive and rigorous process to identify those with a high potential for commercialisation. Alongside these solutions the highest-ranking learners based on a judging criterion for the projects are propelled to an even more challenging stage. The learners are put into business teams and placed in a highly challenging TechnoPreneurship programme where they are provided with further skills to take their ideas and innovative solutions to even greater heights. They are tasked to convert their solutions into business cases. The programme exposes them to experienced entrepreneurs who provide them with the knowledge required to create these business cases using the infamous business canvas model. It is as they state folks, if you cannot simplify your business into a single page, it might just be too complex to appeal to the market! 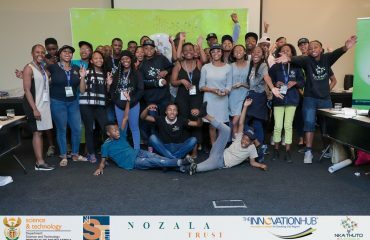 As if these kids could not be challenged any further, the ultimate TechnoPreneur and winner is selected by a panel of tough business developers and investors that these high school kids have to pitch to. We are developing future leaders and change makers here, there’s no time for kid gloves and “handle with care” signs at this stage of the game! As the call for continued capacitation of African youths is at the helm for the development of the continent for poverty eradication and socio-economic development; more investment must be channelled to programmes of this nature. Programmes that add onto the existing skillset that kids at high school level are provided with. The youth wants to be challenged and wants to be given the opportunity to lead the call for advancing the continent. While it is seemingly difficult to pass the baton, the aim for the Nka’Thuto programme is to make the process seamless from secondary to tertiary. This by applying research and business methodologies that prepare the learners for the future, noting that in a relay race when the baton falls its disqualification. For Nka‘Thuto, failure is not an option. One of our mantras is “should you fail, you pick yourself up again and run because it’s a “RACE” – not a competition!